SAN DIEGO, CA – LiveSource LLC and The New Children’s Museum San Diego are thrilled to announce a partnership to utilize the LiveSource mobile auction app for the Museum’s 2018 annual fundraising gala: Studio 200, Totally 80s Birthday Bash, taking place November 10, 2018. Visit the event webpage here to buy tickets and learn more about this amazing event. The Museum will feature its auction and raffle items on the LiveSource app and supporters can quickly and easily donate, bid and buy using their mobile phones and tablets before and during the gala. LiveSource will also attend the gala to help support the Museum’s staff and assist guests. Founded in 2016, LiveSource enables partners to create instant marketplaces through award winning digital auction and raffle platform. 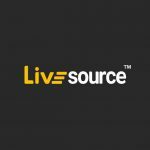 The LiveSource platform gives supporters in attendance and at home the ability to bid on items and experiences that become available during an event. Bidding, winning, payment and delivery is all facilitated on mobile devices through LiveSource. LiveSource offers any charity, foundation or other fundraising effort the most powerful, easiest and affordable technology in existence. For more information, visit www.livesourceapp.com or follow us on social media. 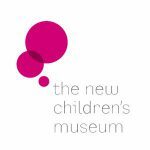 The New Children’s Museum is a new model of children’s museum whose mission is to stimulate imagination, creativity and critical thinking in children and families through inventive and engaging experiences with contemporary art. The Museum opened in 1983 in La Jolla as the Children’s Museum/Museo de los Ninos and reopened downtown as The New Children’s Museum in 2008. The Museum brings families together in a rich educational environment that fosters creativity — blending the best elements of children’s museums, contemporary art museums and community resources. The Museum collaborates with contemporary artists on an ongoing basis for art installations and educational programs for children. To learn more, visit thinkplaycreate.org or follow them on Facebook or Instagram.